The year moves into November, the leaves are falling and, across the northern hemisphere, most of the grape harvests are over. So what can we expect from Europe and North America’s 2015 wines? We’re not going to see many of them on our shelves for a while (with the exception of Beaujolais Nouveau, which I’ll be blogging about in a couple of weeks), but a look at the harvest reports gives us a clue. And the news, almost without exception is good. Let’s start in France. Burgundy and the Rhône enjoyed 2 hot, dry months in June and July and, following a slightly cooler August, were picking healthy, ripe grapes in September. 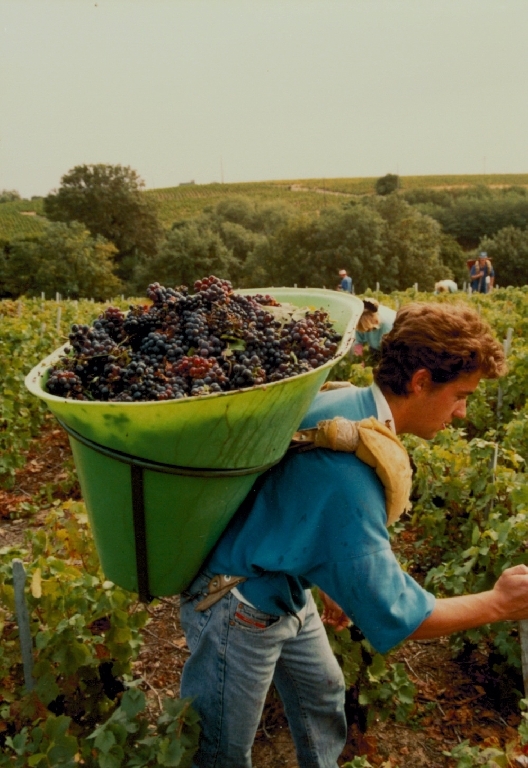 Bordeaux was similar – sunnier and drier than usual – and harvests there began in mid-September with most producers very upbeat about the outcome. In Spain, they’re already talking about the best vintage since 2005 and across in Portugal the crop looks good enough for us to see the first general declaration of a port vintage since the marvellous 2011 as well as some great wines. Much of Italy suffered from record breaking July temperatures and lower than average rainfall, resulting in lower yields and smaller grapes, so, not a bumper year for volumes but the flip side of this is that producers are saying that there’s a really good concentration of flavours in the grapes suggesting high quality wines. Over in California, the harvest was also a small one with reports of crops often 20% less than normal. Again, drought and high temperatures were the causes and many growers completed picking by the end of September – remarkably early. Nevertheless, most are fermenting good, fully ripe fruit with the expectation of excellent wines. Of course, we can’t know how the wines will turn out until we taste them, but with generally favourable weather conditions right across Europe and North America, it looks very hopeful that the wines from 2015 will be well worth waiting for when they start appearing on our shelves in the New Year.